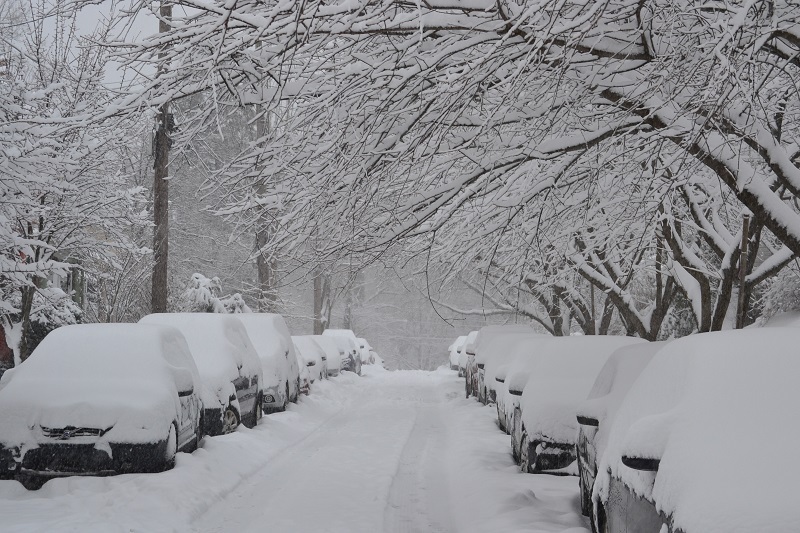 We interrupt the regularly scheduled broadcast of Chicago travel posts to give you an update on Winter Storm Thor currently transpiring in parts of the Midwest and Northeast United States. 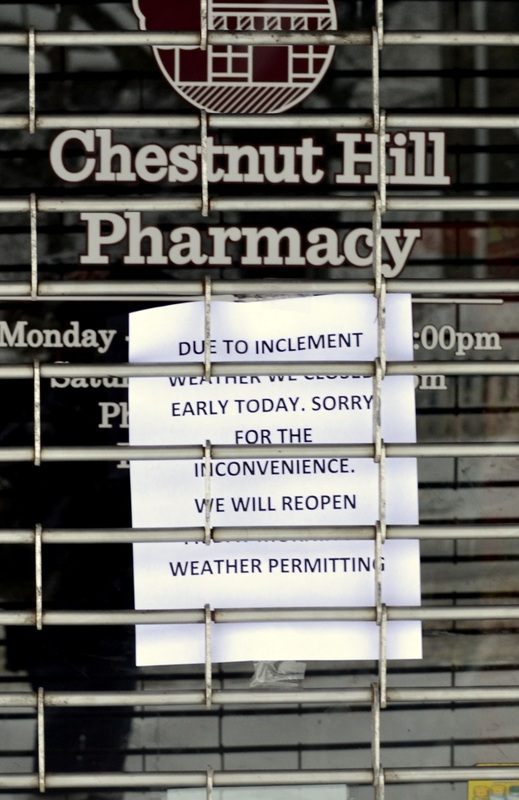 The following pictures were captured in the Chestnut Hill neighborhood of Philadelphia. Here, we come upon the door of a church a few blocks from my home. 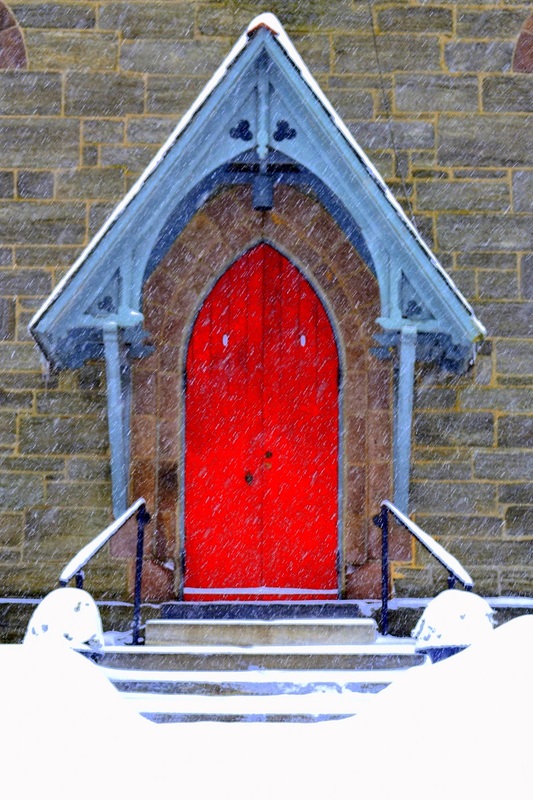 The bright red and blue colors of the door and overhang both seem to pop against the drab, grey surroundings. There’s a certain cruel beauty and eerie silence that transpires during snowstorms. For a few moments, until the next snowplow drives by, the only sounds are of falling snowflakes, my own rhythmic breathing, and the snap of the shutter as I capture this picture. 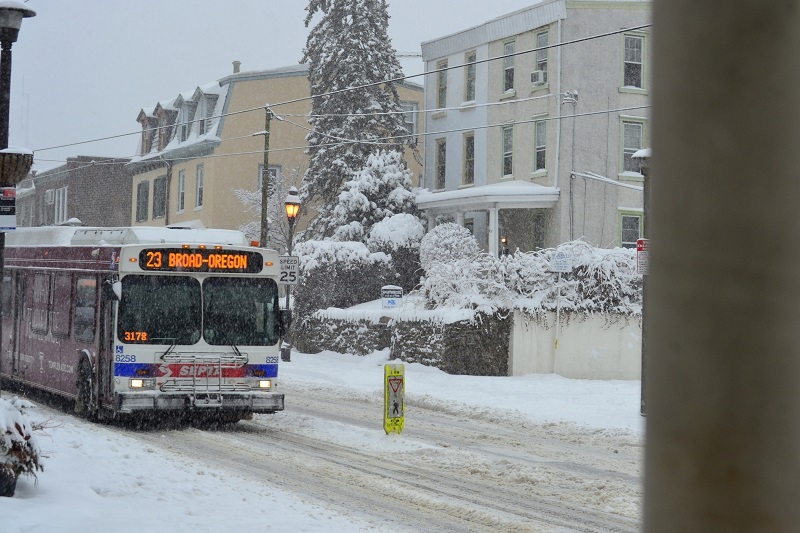 The buses are running today. Impressive! 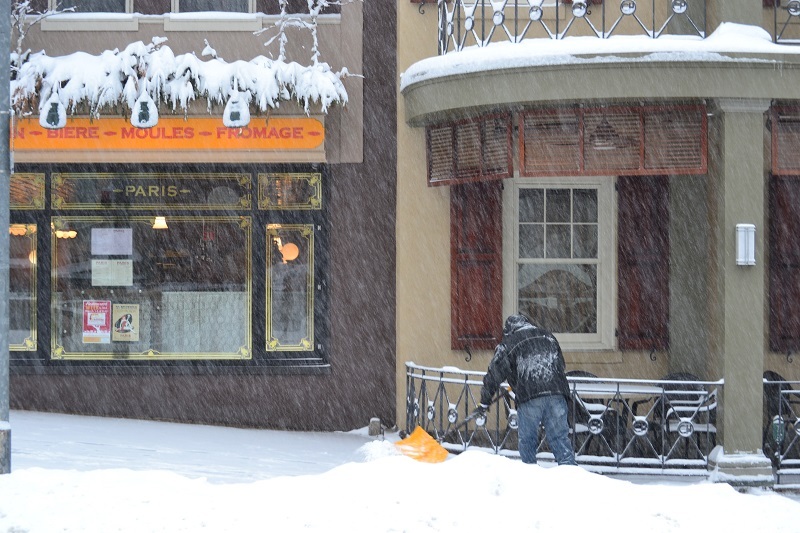 A well-bundled gentleman shovels snow from a sidewalk in front of the Chestnut Hill Hotel. 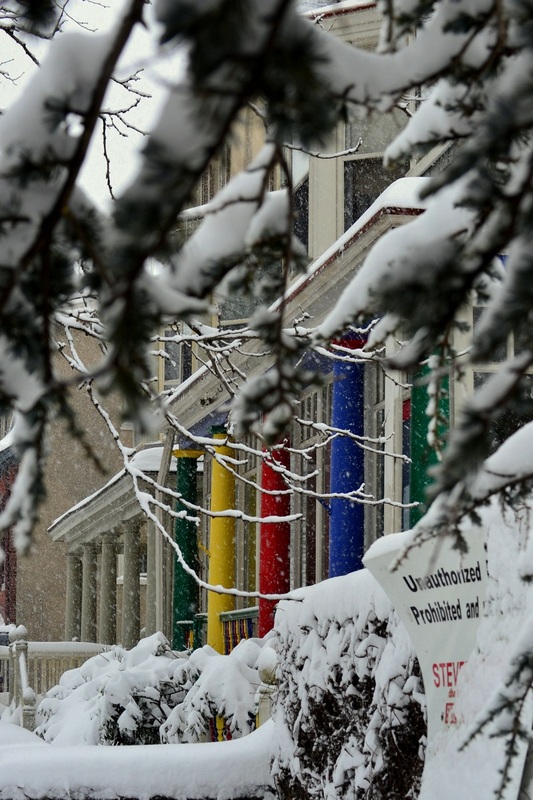 Historic Philadelphia is tucked beneath a cold, wet blanket of snow — hopefully the last one as we approach spring. 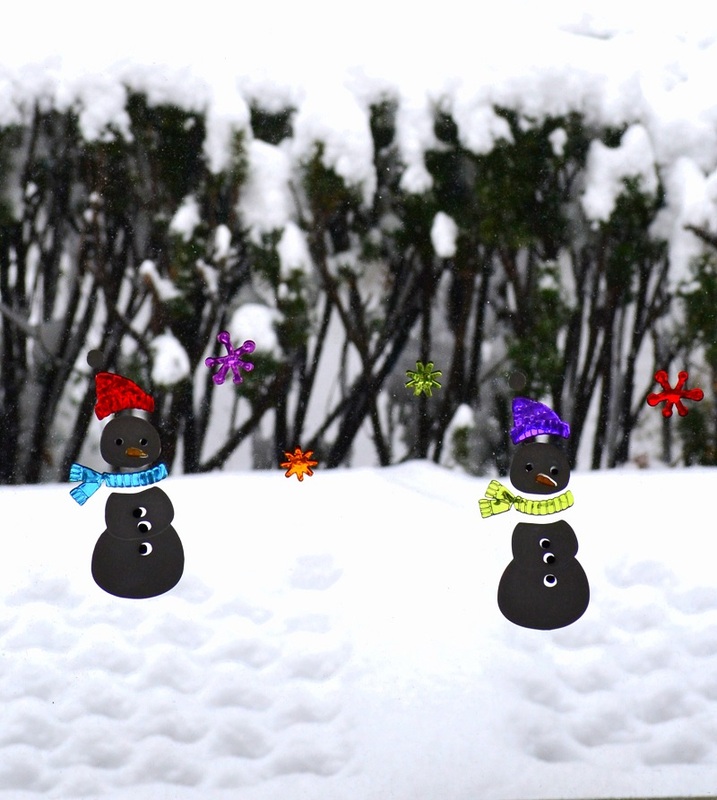 I affixed these snowmen decals to my front door in early December, but I suspect they’ve felt a little out-of-place until today. Oh, rickety, rusty wire-rimmed fence. You’re so picturesque all covered in snow. Shhhhhh . . . I know, I know: you’re inanimate and you’ll never be able to understand these words. A little splash of color brightens up a dark, cold afternoon. Now, time for some hot tea. Thanks for joining me on this Thirsty Thorsday! Well, hey there almost-birthday lady! Ah, hot tea for both of us. What flavor? Mine was Yogi Green. 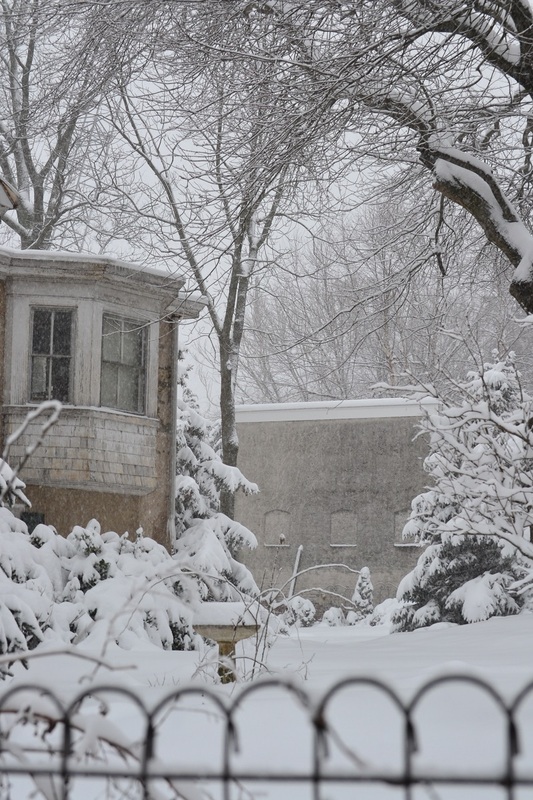 For this post, I trudged through the snow all bundled up in layers. The car was (and still is) buried underneath piles of snow. My hands were okay. In this case, it was my soul that needed warming. 😉 Thor surprised me, to say the least. It was pretty, though. Again, HAPPY BIRTHDAY! Hope you get your ice tea tomorrow, along with a slice of cake. Hey, doesn’t Oregon get snowfall once in a blue moon? And yep, Broad/Oregon is an intersection in South Philly. 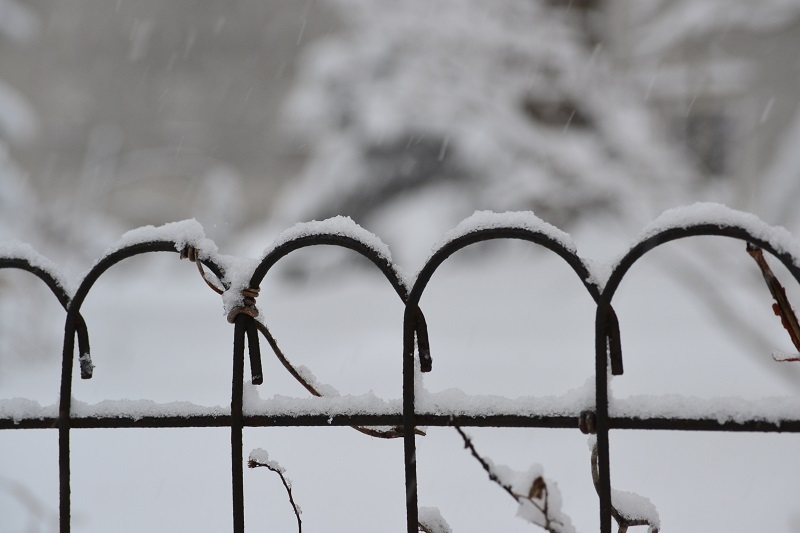 I think it is safe to say that the snow has followed you to PA. I’m personally partial to the wire fence. Very clever verbiage! These pic’s make me want to bundle up and trudge though the snow on an adventure. Funny how even the most awful weather can create such beauty and remind us that mother nature makes us stop once an awhile. Now back to work! The warm up is coming here in MN! Katy, this was actually our first big snowfall. 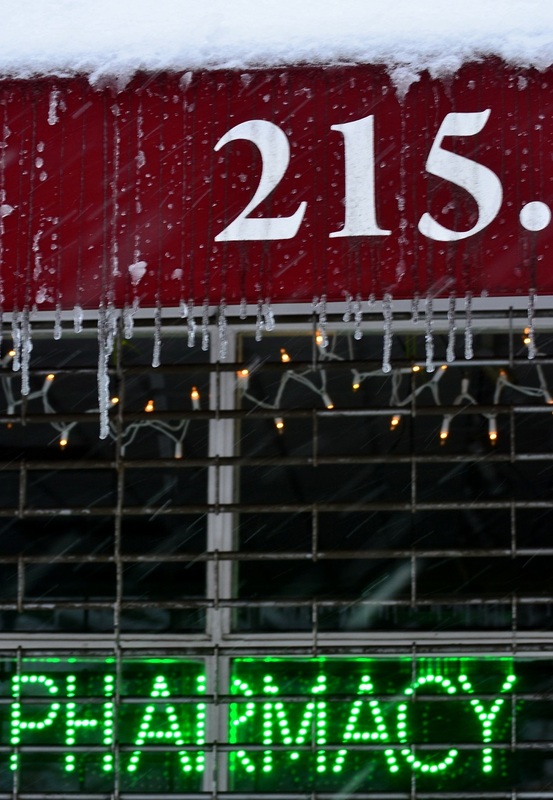 However, this was the coldest winter Philly has seen in many years. And *last* winter was the snowiest. I’ve felt right at home. Warm wishes to you! And thanks for always reading and commenting. You make me feel so loved.